We gratefully thank all our wonderful Speakers, Conference Attendees, Students, Media Partners, Associations and Exhibitors for making Pharmaceutica 2017 Conference the best ever! 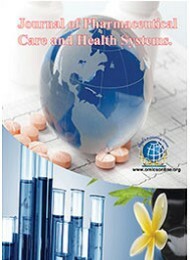 The 10th International Conference and Exhibition on Pharmaceutics & Novel Drug Delivery Systems, hosted by the Conference Series Group in association with Controlled Release Society (USA), International Pharmaceutical Federation (FIP) (Netherlands), Bionanonet (Austria), Nanonet (Poland), Nanonextnl (Netherlands) was held during March 13-15, 2017 at Doubletree by Hilton Hotel London - Ealing, London, UK based on the theme “De novo in Drug Delivery Systems". Benevolent response and active participation was received from the Organizing Committee Members along with Scientists, Researchers, Students and leaders from various fields of Pharmaceutics and Drug Delivery Systems, who made this event a grand success. Conference Series Group expresses its gratitude to the conference Moderator, namely Dr. Arwyn Tomos Jones & Mr. Shayan F Lahiji for taking up the responsibility to coordinate during the sessions. We are indebted to your support. Similarly we also extend our appreciation towards our Poster Judges namely, Raid Alany, Kingston University, UK; Imran Saleem, Liverpool John Moores University, UK; Khuloud Al Jamal, King’s College London, UK. Also other eminent personalities who supported the conference by facilitating the discussion forums. Conference Series Group also took privilege to felicitate the Keynote Speakers, Organizing Committee Members, Chairs and Exhibitors who supported this event. With the grand success of Pharmaceutica 2017, Conference Series Group is proud to announce the "11th World Congress on Pharmaceutical Sciences " to be held during September 28-29, 2018 at Montreal, Canada.